Rare and very large Size Edwardian Grocers Hand Painted Tin Grocers Price Sign. 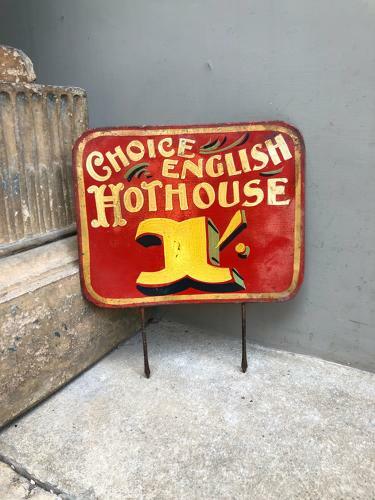 Lovely subject "CHOICE ENGLISH HOTHOUSE" Would have been for fresh English Tomatoes or Cucumbers. Now collectable and such decorative items...cream and yellow on red..with original spikes.